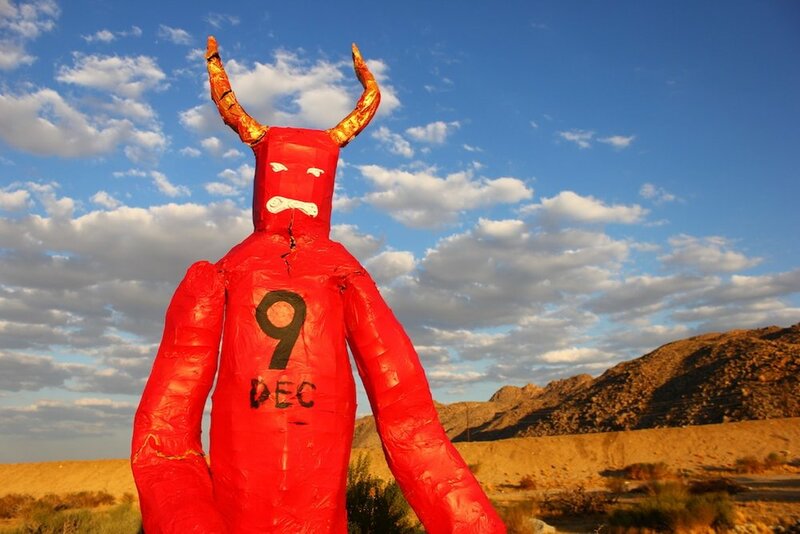 DECEMBER 9TH IN JOSHUA TREE, DON’T MISS THE MOST AMAZING OF MUSIC LINE-UPS IN THE HISTORY OF MUSIC LINE-UPS. LIKE, EVER. This December 9th, join us for the Burning of the Devil, QUEMA DEL DIABLO, our take on the Guatemalan tradition of burning effigies of the devil at year end — clearing the bad from the previous year and rising anew from the ashes. The always fun Cuddle party. A Print Studio, Desert Gallery, Art Compound — PLUS SPECIAL GUESTS TO BE ANNOUNCED! Tickets will be $20 and proceeds go toward restoring the Joshua Tree Retreat Center Farm!